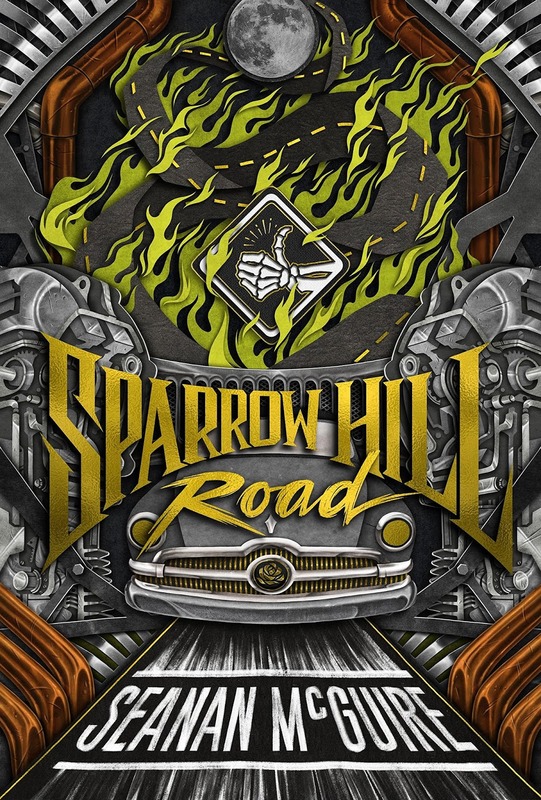 Rose Marshall was just sixteen when she died in a car crash and became a hitchhiker ghost, her car was run off the road by Bobby Cross and he has been chasing her ever since trying to claim her soul as payment for his own immortality. 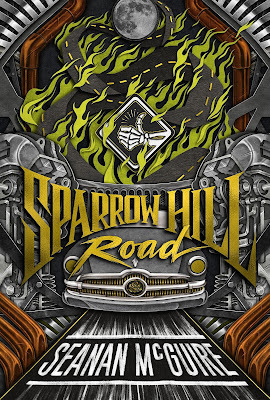 She's spent the last 60 years wandering the ghost roads trying to avoid Bobby while also protecting others from her fate. Sometimes she is able to help people avoid tragedy but other times there is nothing she can do but hold their hands until the end and help them move on in the afterlife so they don't get stuck like she has. Rose is a legend with many names and this is her story. 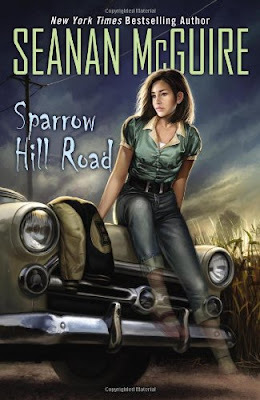 I'm a huge fan of Seanan McGuire's Incryptid series and I've been wanting to know more about Rose ever since she appeared in The Ghosts of Bourbon Street short story so I was really looking forward to reading Sparrow Hill Road. This book is quite different to the Incryptid stories though, it's less light hearted and funny and a little more melancholy. It was also originally published as twelve short stories (although I believe some extra material has been added when it was turned into a book) so I found the book was a little disjointed at times, particularly in the beginning. It took me quite a while to get used to the way the story jumped from the present to various different points in the past, initially there didn't seem to be much logic to the order the story was told in but it's only as you get later in the book that you start to see the method behind the madness and realise how cleverly the author pulled all the different elements of Rose's life and afterlife together. Rose a great character, she never asked for her fate and that could have made her bitter but instead she's tried to make the best of things and help others where she can. She has spent a long time trying to hide from her murderer but Bobby's immortality is at stake so he is equally determined to find her and their confrontation has been 60 years in the making so as you'd imagine it's quite epic when it finally happens! I loved learning about the different types of ghosts, what caused them to become ghosts in the first place and how that affected the abilities they had after death. Seanan McGuire draws on all different kinds of legends and stories and she's used it to create a rich and detailed afterlife with all kinds of layers to it. She includes humans like the route witches who are able to communicate with the different road ghosts and other types of incryptids who Rose is also able to interact with. There were so many characters that I'd love to revisit in the future so I'm hoping that they'll either crop up in the main Incryptid novels or perhaps be given stories of their own later on. I've had my eye on this one for awhile but just haven't picked it up. Maybe I'll try to hunt it up at my library.